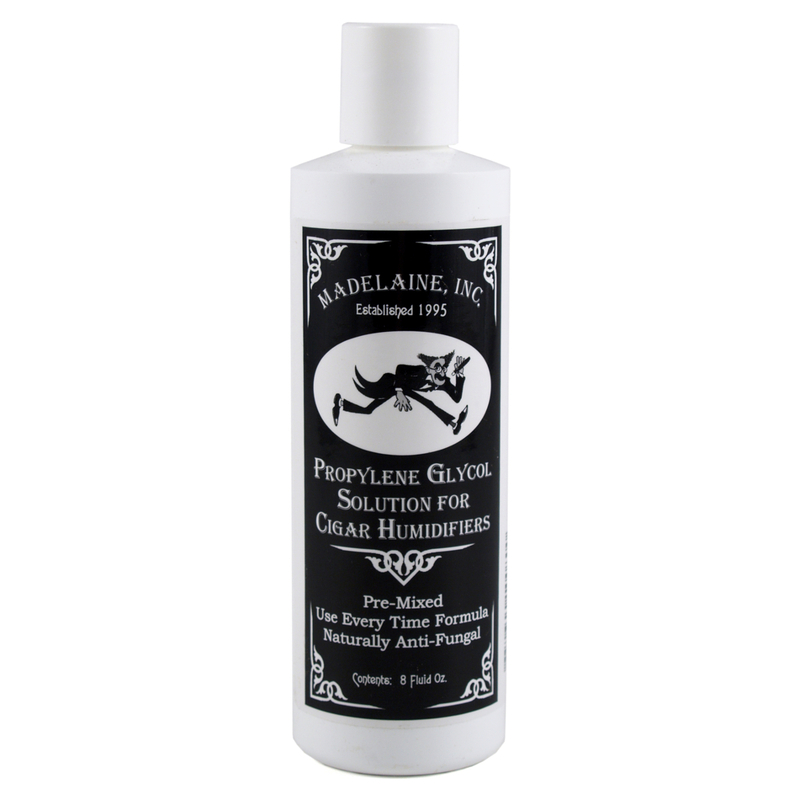 Use Madelaines' propylene glycol solution for any foam filled cigar humidifier. This solution will regulate the humidity in your humidor at 70-75% insuring a "humidor fresh" smoke every time. The solution is pre-mixed so there is no need add anything else.